3 Bedroom Flat For Sale in Hove for Offers in excess of £695,000. 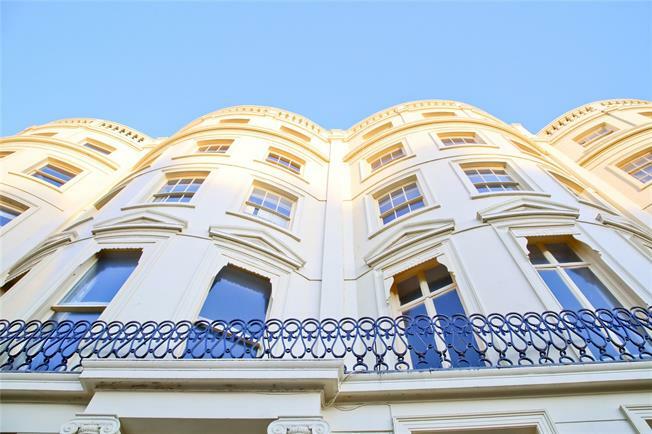 WATERSIDE - A three bedroom apartment, within a Grade I listed, double bow-fronted building in historic Brunswick Square, which was designed by the architect Charles Busby and dates back to the 1820’s. The property is unusual because it spans across two properties- both 23 and 24 Brunswick Sq. The property has a lift entering directly into the apartment with glorious views over the square and the seafront, it really is something a bit special! From the main front door and entrance hallway, a staircase leads to the top floor or alternatively the passenger lift which opens directly into the apartment. A hallway spans the length of the flat with both the living room and the master bedroom (with en-suite) overlooking the sq. both with sea views. There are two further bedrooms which both have wonderful rooftop views to the east, a family bathroom and kitchen/ breakfast room overlooking the rear with solid granite surfaces and door onto the fire escape. Lastly, there is an additional room which is currently used as a storeroom but could easily become a fourth bedroom if required. Living room and master bedroom with views over the square and coastline.